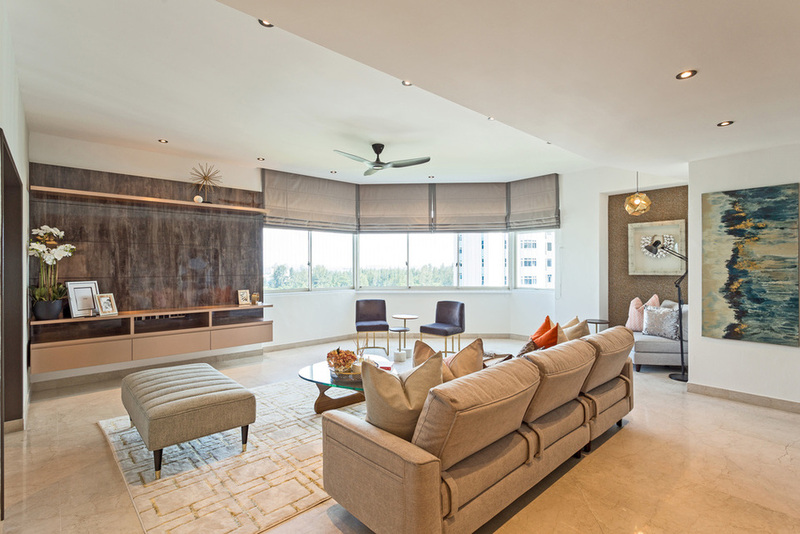 After living in Singapore for many years, couple Sandeep and Micky Mathur had decided to settle down here by buying a house, but the unit they purchased was dated and far from their dream home. 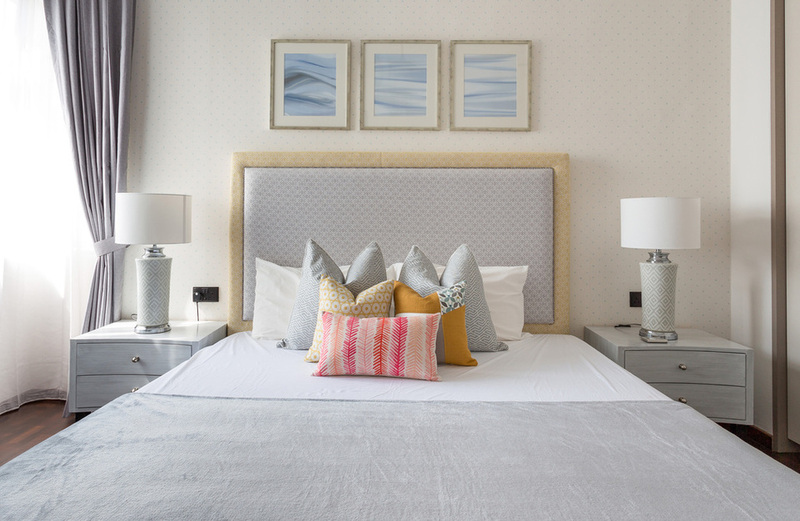 Taking an instant liking to Arete Culture’s portfolio online, this couple trusted their home to Principal Stylist, Caroline Chin Geyler, and Senior Interior Stylist, Nirvi Metha, to do an end-to-end. 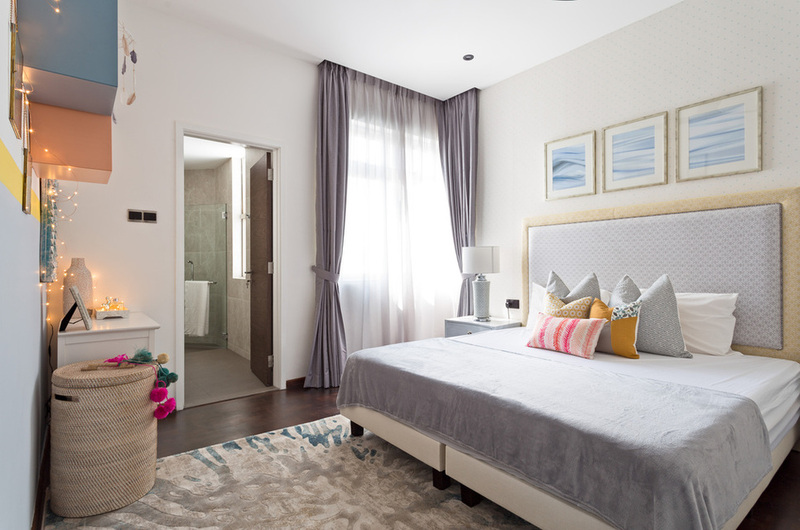 The result is a grand, magnificent, fluid and spacious home that also feels lived in and intimate. 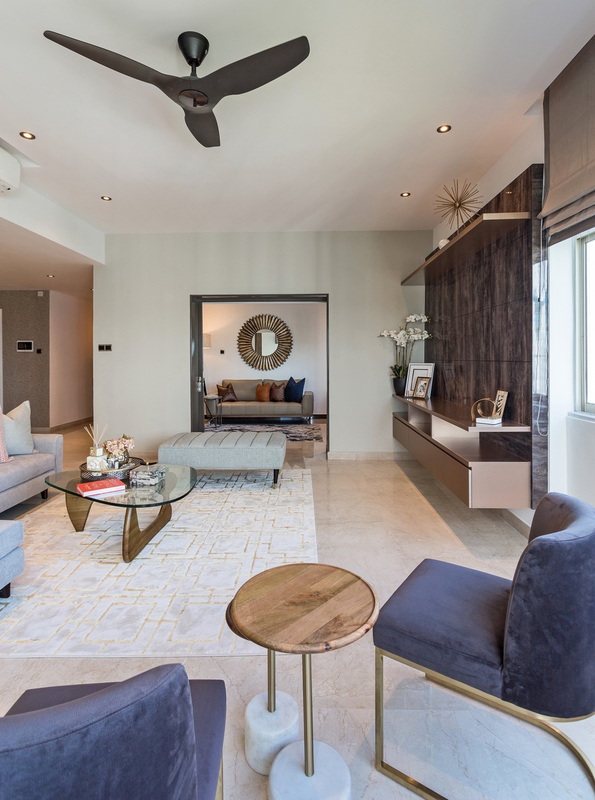 This 2400sqft condominium at The Waterside receives ample natural light so the team decided to ground the space with a regal colour palette and furniture pieces. 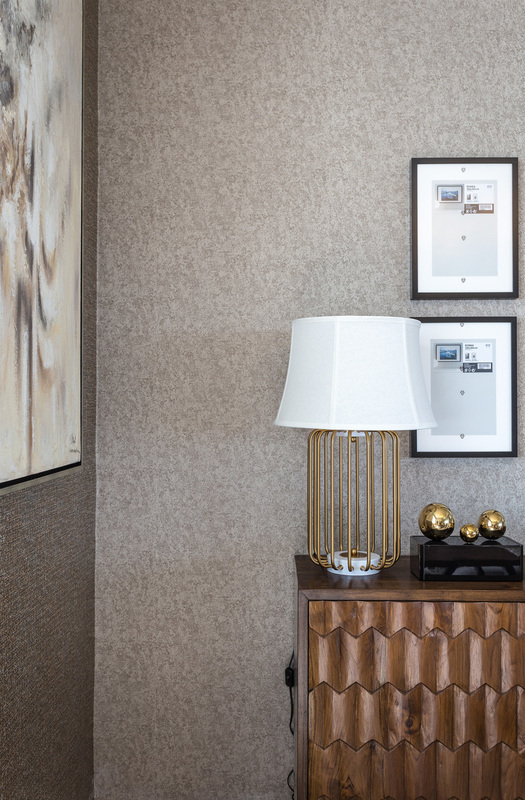 Subtle hints of deeper, darker tones were used to elevate the home and make it feel more luxurious. This elaborate makeover, which involved a total gut job, spanned four months. 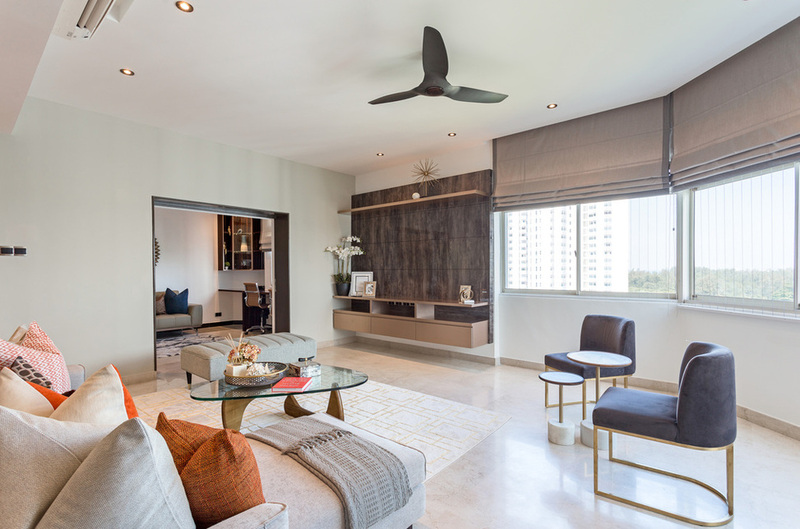 The cost of the project came up to $300,000 including design build, styling and design conceptualisation, furniture, window treatments, and other accessories. 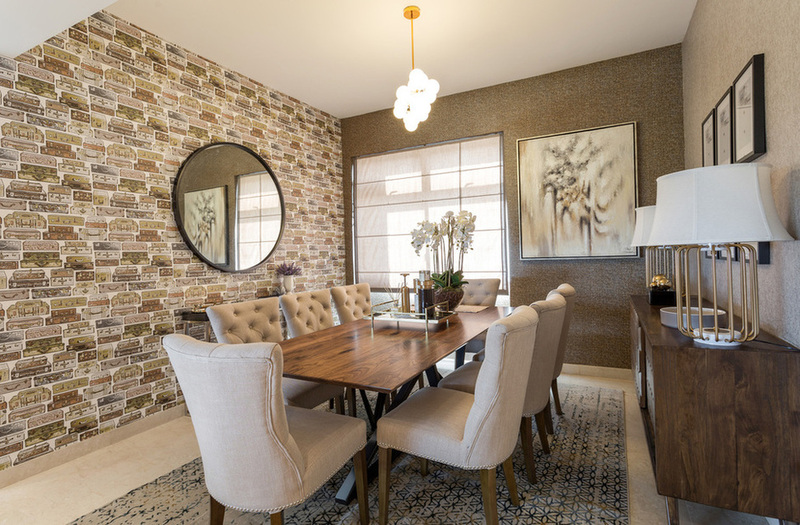 In the living room, multiple seating options are available across the entire layout. Notice how so much is going on in this communal space but the room still feels clean and open. Light streaming in from the windows further opens up the space. 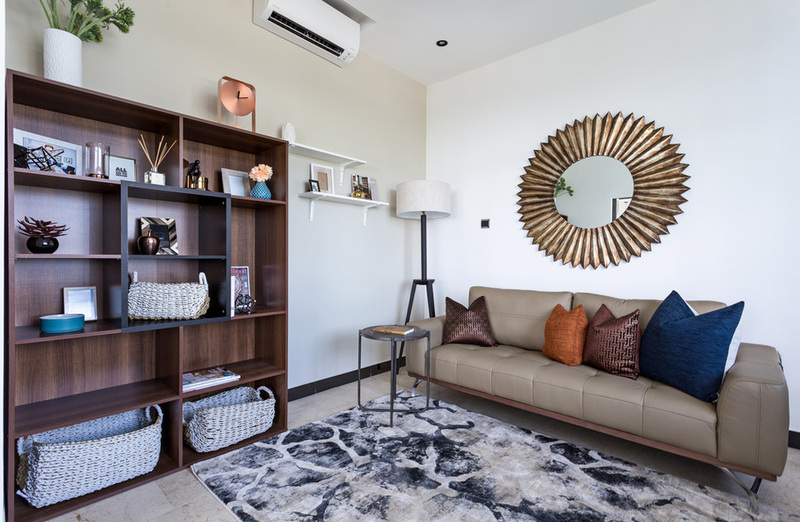 The lounge area, located adjacent to the living room, is a cosy space suitable for reading and relaxing. 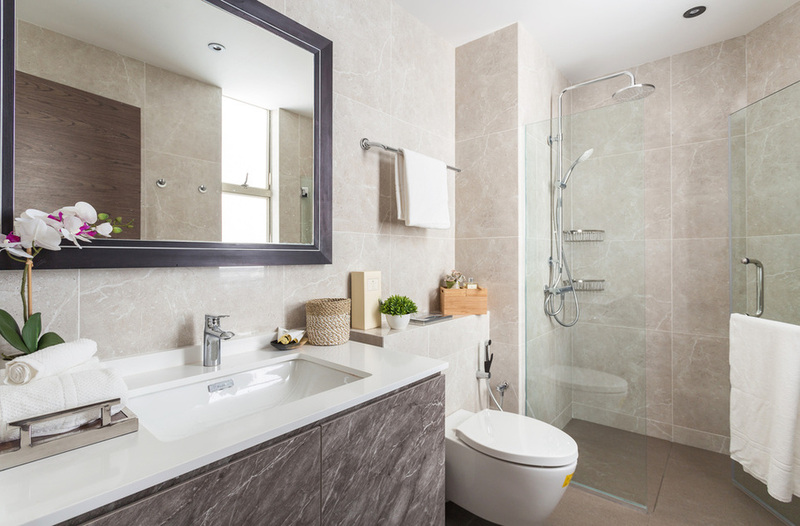 The priority was to create a clutter-free space that would still feel homey and lived-in. 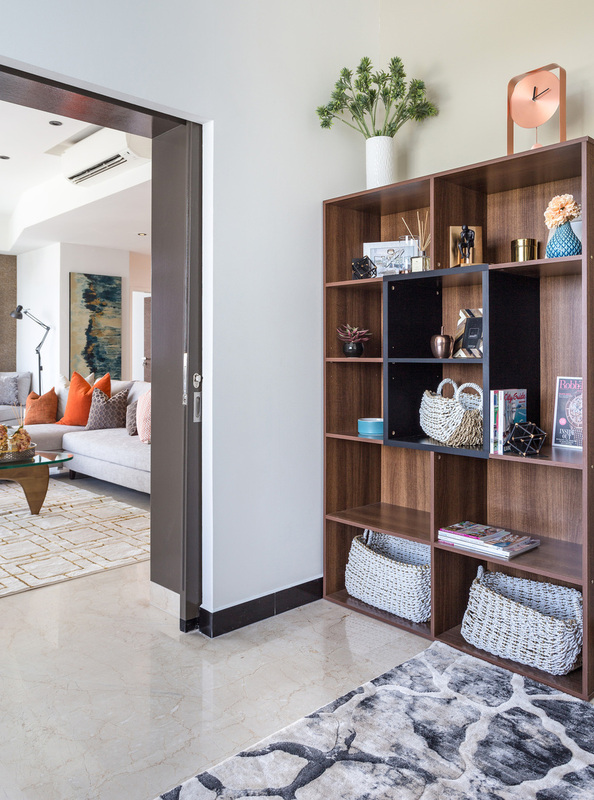 The bookshelf is decorated with both organic elements (woven baskets, potted plants) and balanced with modern accents (brass clock, frames, gold surfaces). 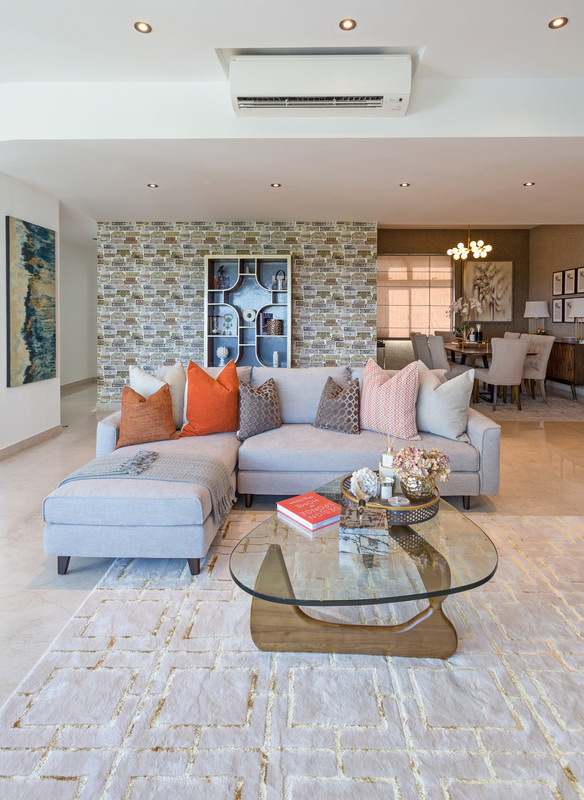 A plush area rug in an abstract design anchors the warm, comfortable feel of the space. Also, notice how the pillows in both the living room and lounge area adhere to a similar colour scheme with similar patterns. This allows both spaces to flow seamlessly into one another. 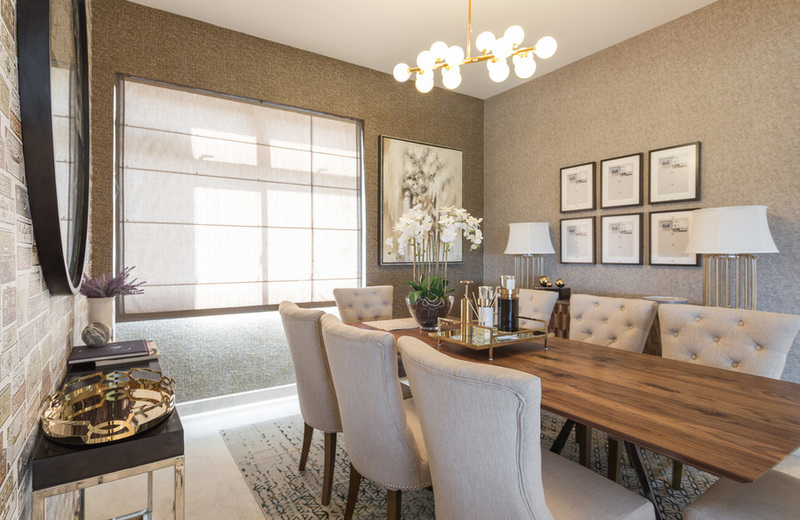 In the dining area, you can’t help but feel as though you’re a distinguished guest with the glamorous taupe and gold colour scheme. 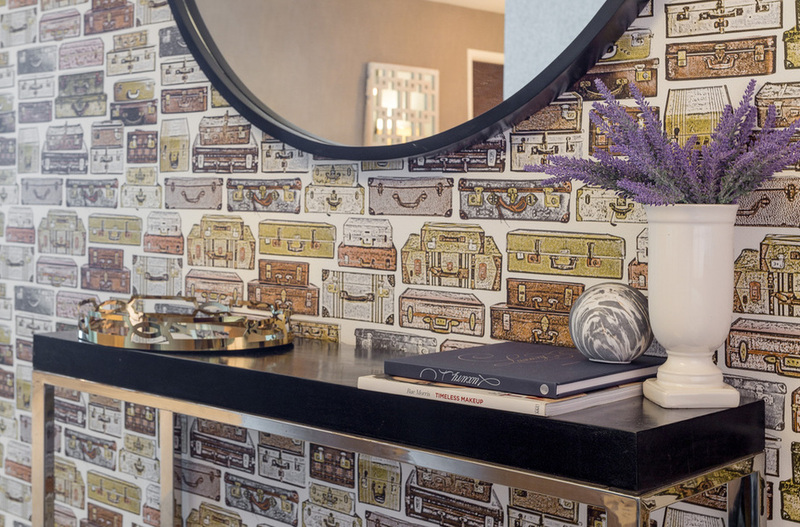 Wallpaper-covered accent walls are juxtaposed to heighten the drama of the space, while a symmetrical vignette atop the sideboard adds grand formality for entertaining opportunities. 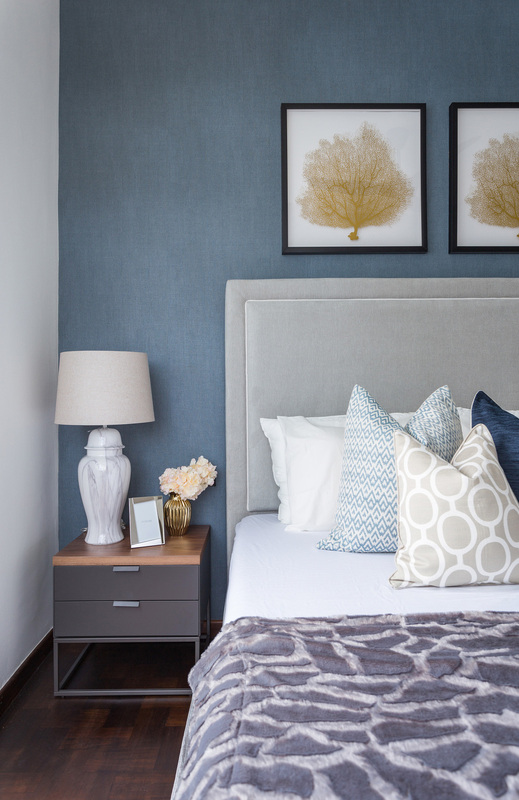 Everyone wants the perfect bedroom so they can look forward to enjoying restful nights. 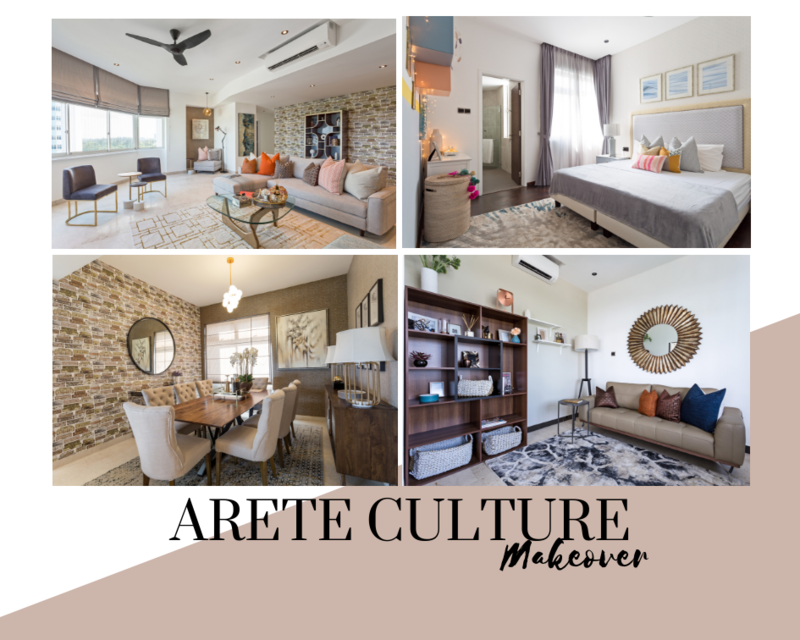 As always, Arete Culture has nailed the look by creating dreamy, relaxing bedrooms for the homeowners. 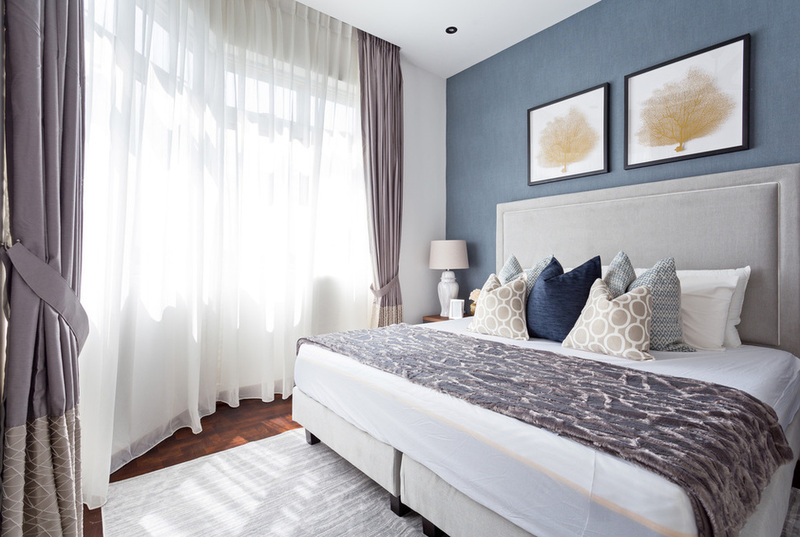 The master bedroom takes on a earthy palette of taupes and browns, with traces of blue that add visual interest. 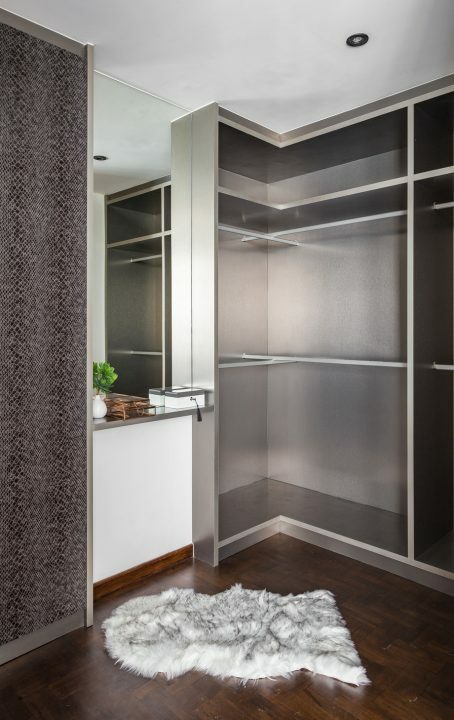 A custom walk-in wardrobe was installed and the floors were also restained. 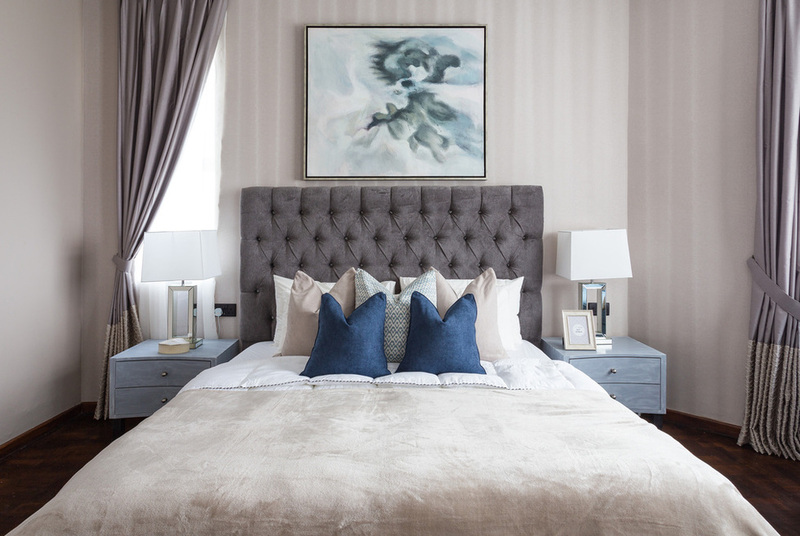 The other bedrooms were built off the master bedroom’s colour palette to create a distinctive look in each room while maintaining a cohesive feel throughout the home. 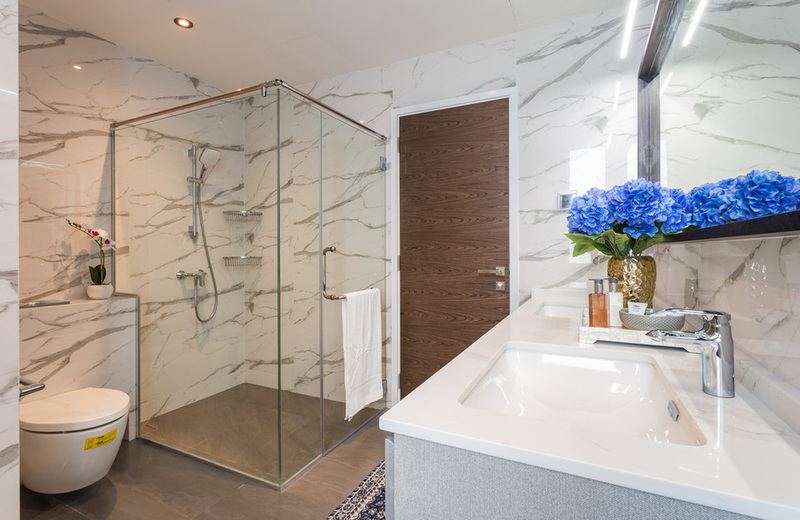 The bathrooms resemble those of luxury boutique hotels with the use of materials such as glass, porcelain and marble. Caroline regularly uses Cochine fragrances in her projects to heighten the olfactory experience. This is because she believes that great design involves all five senses. 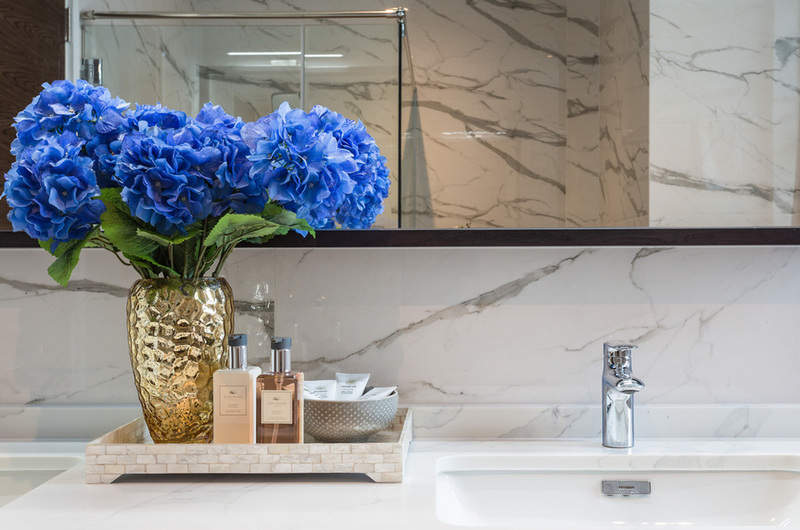 On the importance of infusing a home with fragrances, she says, “It’s a trick many hotels use that you can easily replicate at home.” These fresh and lasting scents are sure to help you kickstart the day or uplift your spirits. 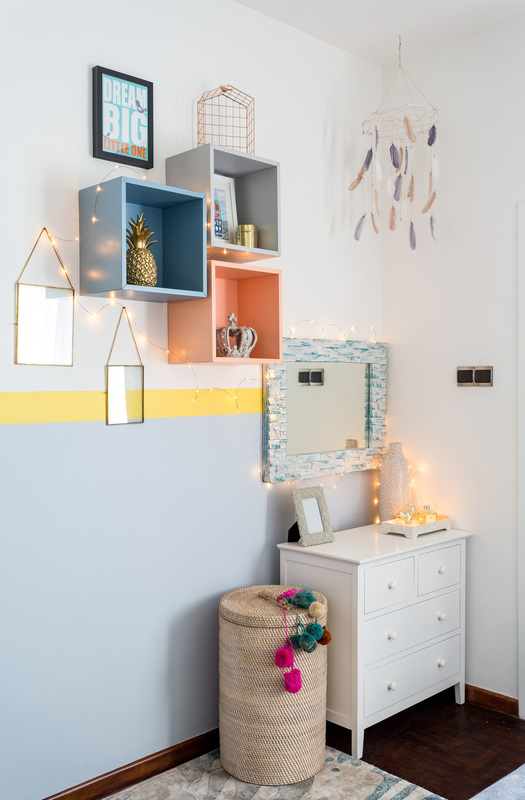 Other than the bathrooms, fragrances are also placed around the hallways and in communal areas to keep the home smelling fresh at all times. 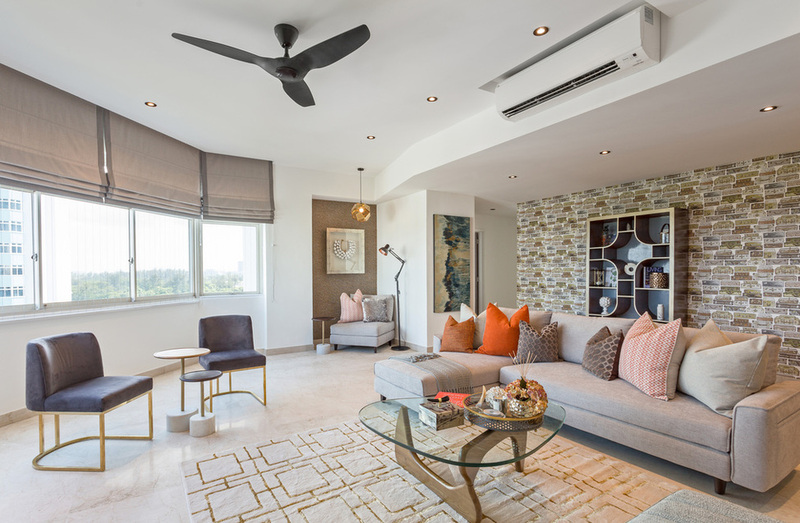 Having a deep understanding of the concept and design vision of the home, Caroline and Nirvi effortlessly unified the home with a palette of navy, tangerine, copper, gold, and vermillion. 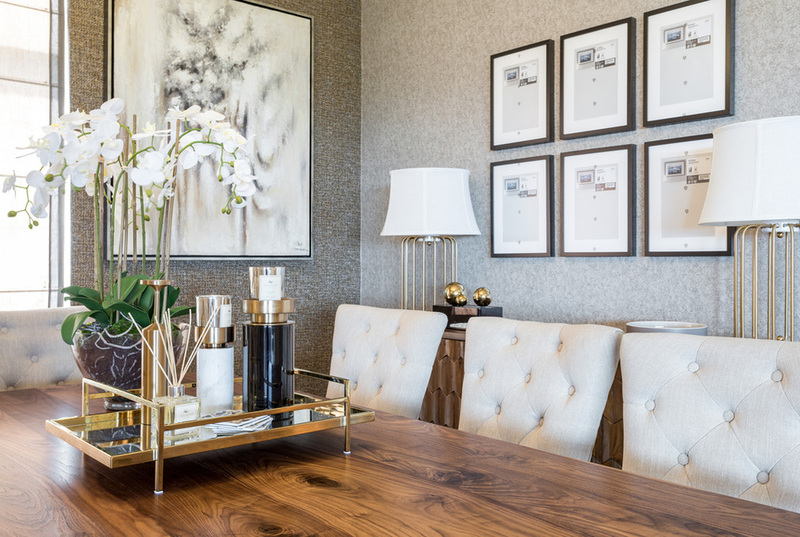 Every inch of the home is meticulously styled to perfection, and while the space could have been easily overwhelmed with the disparate elements, a tightly edited colour palette was able to tie the look together. 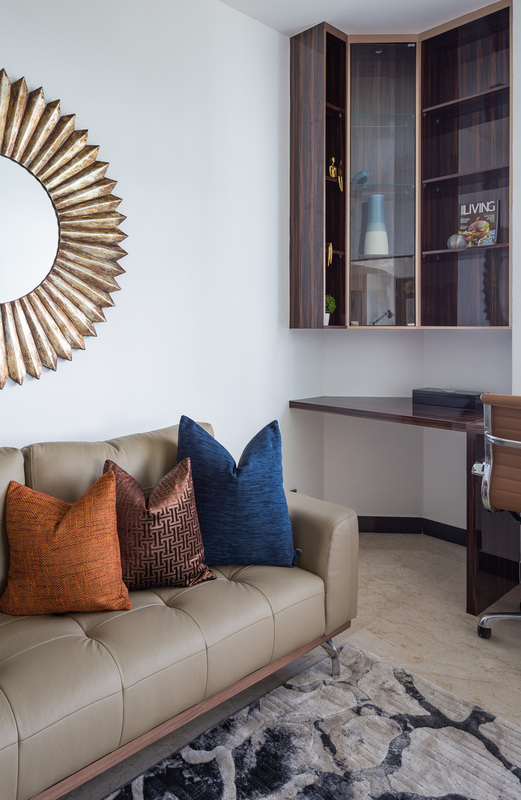 All the furniture pieces were curated and designed to fit the theme, staying true to the original vision Arete Culture had initially conceptualised for the home. 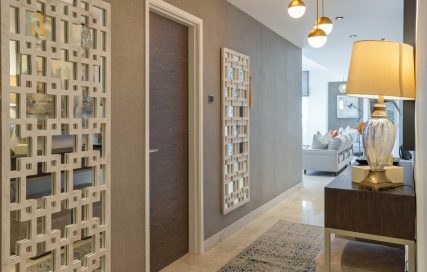 A mixture of shapes, colours and textures were used to imbue the home with functionality and refinement. 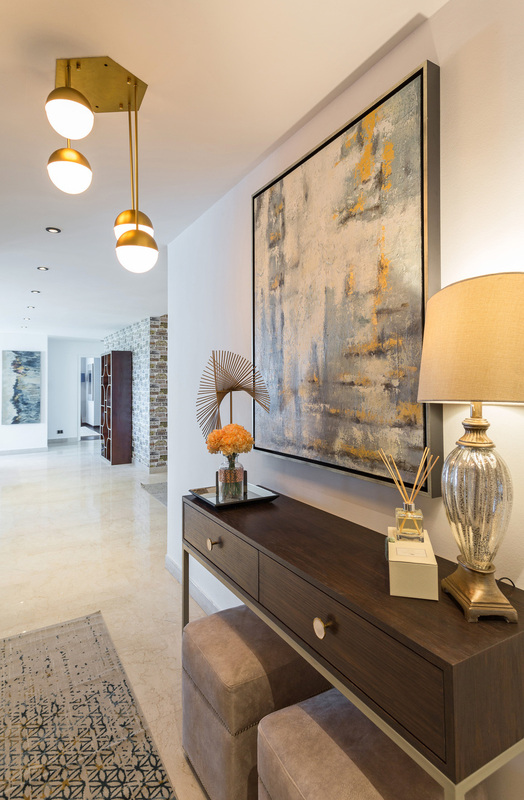 Completely revamp your abode with home styling from our professionals today. 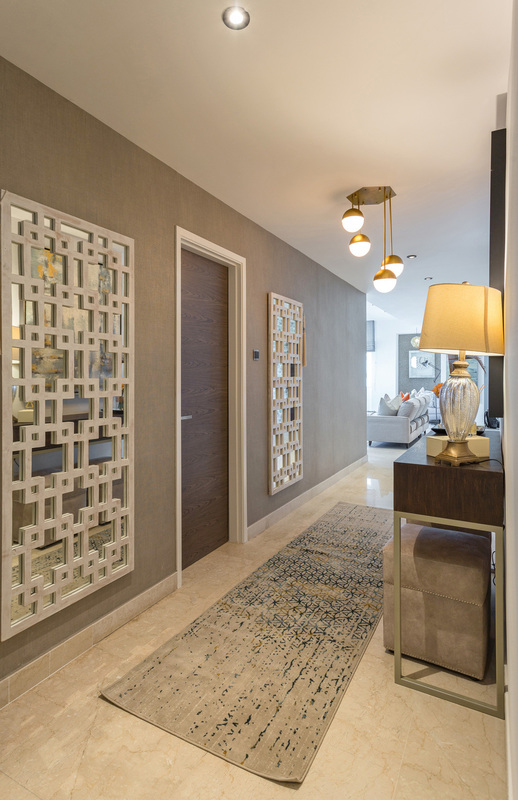 Click here for a free design consultation with Dezainn!